It’s the magic of immersing yourself in a motion picture masterpiece, or a new track from your favorite band, or the spectacle of a live Broadway show. 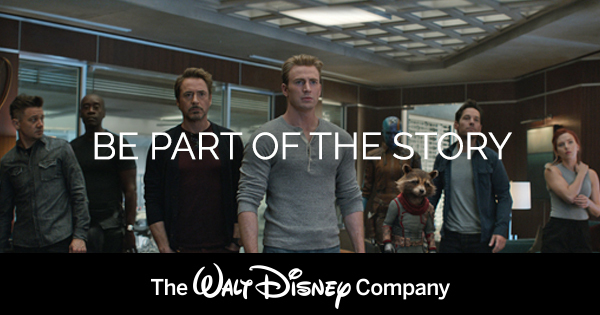 It’s hard to define and even harder to create, but that’s what we do at The Walt Disney Studios. Ours is a culture of innovation, collaboration and creativity. We raise the bar, then step over it, blazing trails through the production and distribution of world-class entertainment around the globe. If you want to help tell compelling, enduring stories through movies, music or stage plays, then we want to hear from you. The Walt Disney Studios encompasses the creation, production, promotion, sales, acquisition and domestic and international distribution of live-action and animated motion pictures, home entertainment releases, live stage plays, and music and soundtrack recordings. The Manager, Marketing Partnerships Sales will be an integral part of the marketing partnerships team that will handle all Walt Disney Studios films. This position will support the Sales team (Theatrical and Home Entertainment) from initial concept, to pitching and thru execution of promotional window. They should be highly motivated, detail oriented and able to act as a liaison between the sales team and the execution team to ensure that all deals are managed appropriately and with excellence. This is a 6 month project hire role eligible for benefits and perks. Manages and maintains a database of Prospective companies for Partnerships. Manages and enhances relationships with third party promotional partners. Analyzes media spend and provides insight to the team. Disseminates key information points about each deal that the sales team executes to appropriate individuals. Brainstorms incremental business opportunities and pitches to new and existing promotional partners. Manages contract implementation with the execution team, reviews deal points and oversees contract administration. Works with cross Disney divisions on key promotional opportunities. Assists with the development of partnership presentations and work with Creative Manager on development of sales and execution materials to assist teams on key initiatives. Analyzes past promotions and makes recommendations based on trends and key learning’s. Works with appropriate creative entities to provide assets for partner needs. Works with the execution team to review all promotional materials (TV/radio, print, POP, internet, premiums) with partner and help with providing Disney feedback. Remove internet. Add in digital and social. Remove Premiums. May travel to partner locations to assist with sales presentations and execution deals. Helps to secure partner approvals as items are developed. Identifies and presents opportunities for participation with other Disney divisions (tied to the release being promoted). Reviews with existing accounts any new corporate initiatives or new product launches which could present an opportunity for a tie-in promotion. Strategizes on key promotional opportunities that may arise based on thematic link between the property and partner’s brand, appropriate target audience, and favorable timing between the release date of the property and the key selling period for the partner. Acquires fundamental knowledge of partner’s business category, products, their particular company, and its competition.